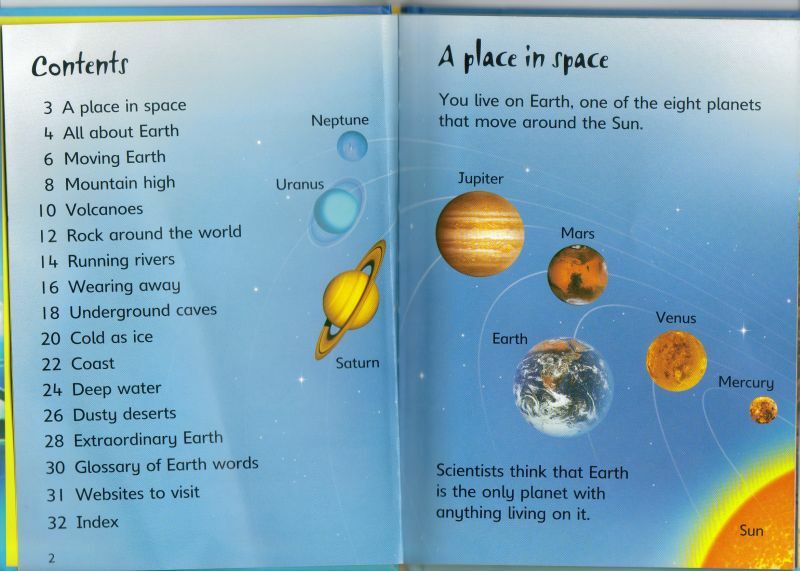 My five-year-old son is a recent convert to all things space, owing largely to the superb BBC TV series Wonders of the Solar System, presented by the wonderful Brian Cox. It was directly because of that programme that Joe was able to spot Jupiter’s moon Io immediately from a panel of planets and moons during a recent visit to the Science Museum in London. Wikipedia has a summary of the official explanation, but I do prefer Eli’s “floating crud” criterion. Of course just because the books look the same, and we ordered them both from Amazon and they arrived at the same time, doesn’t mean they were published at the same time: Sun, Moon and Stars was first published in 2003, while Planet Earth was first published in 2007, after the whole Pluto demotion debacle in 2006. The copyright notice in Sun, Moon and Stars however has been updated (presumably along with the book’s packaging) to say 2003-2007, so you might have thought Usborne would have reviewed the content in 2007 as well. Clearly not. There are not only eight planets in our solar system, technically or otherwise, and there is absolutely NO reason anyone has to “adjust” to the idea of an eight-planet solar system. 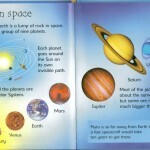 Many companies are deliberately keeping Pluto in books and solar system diagrams because of the ongoing controversy over Pluto’s classification. Only four percent of the IAU voted on this, and most are not planetary scientists. Their decision was immediately opposed in a formal petition by hundreds of professional astronomers led by Dr. Alan Stern, Principal Investigator of NASA’s New Horizons mission to Pluto. Stern and like-minded scientists favor a broader planet definition that includes any non-self-luminous spheroidal body in orbit around a star. The spherical part is important because objects become spherical when they attain a state known as hydrostatic equilibrium, meaning they are large enough for their own gravity to pull them into a round shape. This is a characteristic of planets and not of shapeless asteroids and Kuiper Belt Objects. Pluto meets this criterion and is therefore a planet. Under this definition, our solar system has 13 planets: Mercury, Venus, Earth, Mars, Ceres, Jupiter, Saturn, Uranus, Neptune, Pluto, Haumea, Makemake, and Eris. Pluto is bigger than most rocks in the Kuiper Belt; in fact, it is the tenth largest object orbiting the Sun. Kids can understand the concept that there is a debate regarding its status. 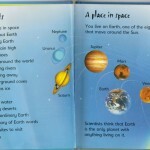 Please do your son a favor and make sure he learns the pro-Pluto-as-a-planet viewpoint. 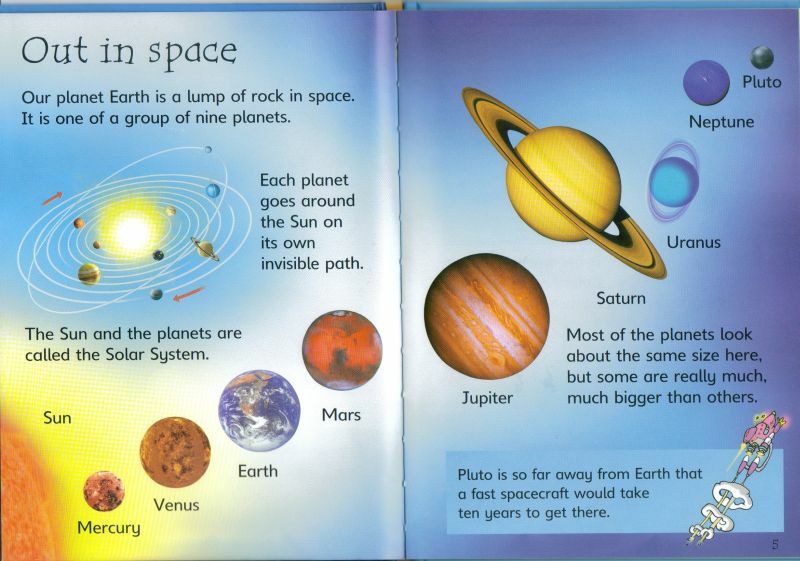 I plan to write to Usborne as well urging them to continue putting out solar system books that include Pluto as a planet.